If you are new blogger or having a website and want to earn money online by displaying advertisements on your blog or website, then there is nothing better than Google Adsense. Google Adsense is popular advertisement providing service that allows website owners to publish and display advertisement on their websites. Google adsense is much more reliable and trustworthy than other online advertisement sites. Google Adsense ads are fully administered by Google and they provide revenue on Pay-per click and Cost per impression basis. Adsense provides ads in the form of images, text, videos, etc. 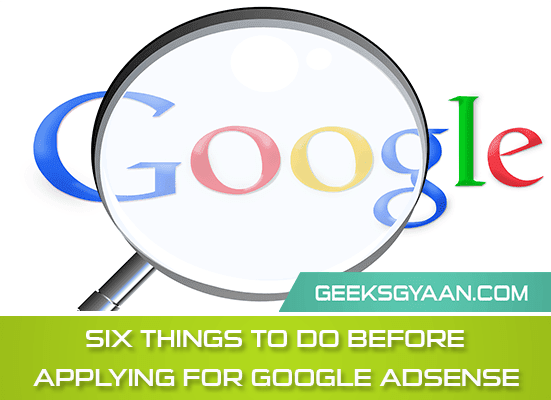 Applying for Google Adsense is fairly simple process but it can be frustrating process for some newbie bloggers or webmasters. Because Google rejects their application even after many times. Many of us thinks that only having website is enough to get an adsense but it is not the actual truth. Even I also thinks that, and Google rejected my application for many times. So to publish and display adsense ads your application must be approved by Google. 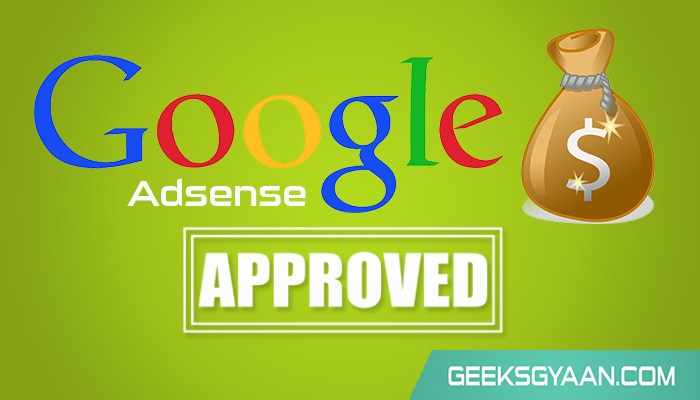 In this article I’m going to give you some tips to get your adsense application approved by Google. So let’s start. You may be a good writer or you may have good content to display on your site but your site template may be not that effective, hence Google rejected your adsense account application. Make sure you have good and effective template design to attract the people to read the content. Your audience may not fill the trouble or difficulty in navigation while surfing or browsing your website. So take care about your website design to get Google ad sense approval. Avoid the complex and buggy templates for your blog or website. Your website may have nice looking template but still Google will not approve your adsense account. Because your website do not good quality content to get Google Adsense approval. People like to read attractive and informative articles or content to read. Your content may not feel them boring while reading it. It should be well organized or structured. Text layout is more important factor. Check for text layout issues by resizing your browser window to be very small or very large. Each article must have correct title, use the different fonts, heading tags, text colors, images or videos to attract the people to read that article and much important thing is that avoid the spelling mistakes. Your content must be written in English and last but not in the list important thing is that update your website with fresh content daily. It might help you to increase your blog readers i.e. site traffic. To know about what is domain name, then you can read my article about what is domain name. Basically there are two types of Domains Internet Top-level domains and Sub Domains. Some Top-level domains are .com, .net, .org, .info, .me, .gov. Top-level country domains are .in for India, .us for United States, .uk for United Kingdom, etc. Sub-domains are .blogspot.com or .webs.com, etc. It is most important thing to use top-level domain because they help you to increase your site traffic and that can also help you to get Google adsense approval. Although you can use your blogger adsense for your blogspot sub-domain. Many users have well enough content, good template and top level domain like .com but still their adsense application got rejected. Your site must have following important pages. About → This page should describe briefly about factors like- purpose of making website, about the author or creator of website, etc. You can check our About page. Contact → Through this page your reader should able to contact you to ask some queries, to get help, etc. Disclaimer → This is another important and neglected page by newbies. The purpose of a disclaimer is to let your client or customer know in very clear terms what their responsibility is and what not your responsibility is. To know more about what is Disclaimer page you check our Disclaimer page. This is much more important thing to do before applying for adsense. Do not use any material which is paid, has copyright or simply pirated material on your website. Do not put download links for pirated or paid software, pictures, movies, games, etc on your website. Your site might get permanently banned by Google. Do not display advertisement of other advertisement sites while applying for Google Ad Sense. It against Google policy to display other networks banner, images, and text ads while you are using Google Adsense. That’s it guys. If you follow these points carefully and strictly your Google Ad Sense application surely get approved by Google. Share your ideas with me to get Adsense quickly below in the comment section. Thank you!